Make your next promotional event a huge success with our exceptionally talented models! 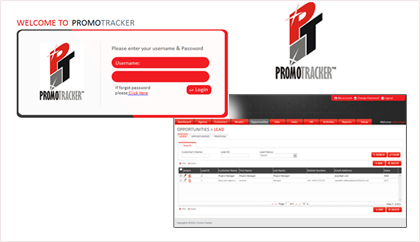 DMC Promotions uses PromoTracker an online Staffing Management System which ensures a professional execution of all work. The system enables you as a client to login and check job status, check who is working what shift and all invoicing will be accessible. Stay up-to-date with your campaign and promotion. We also offer an online reporting form to capture important information and feedback from our models in regards to your promotion.